Your Denver sprinklers work to keep your yard and landscaping properly hydrated day in and day out. While they’re efficient and reduce the amount of water wasted on irrigation and hand-watering, they’re only a small component of your landscaping. You still need to focus on the plants themselves and properly care for the soil they’re planted in. Believe it or not, mulch is one of the best things you can do for your garden, whether it’s a fully landscaped yard or just a few decorative flower beds. Here are a few benefits of incorporating mulch into your landscape design. Mulch sits on top of the garden soil, shading it from the sun and helping to preserve moisture levels without forcing you to water more often. When spread evenly and thickly, mulch helps eliminate the risk of evaporation, even in sunny conditions common to Colorado. This allows the water from your sprinklers to soak into the soil appropriately, hydrating the roots and keeping the plants happy. Furthermore, natural wood mulch soaks up water as the sprinklers run. This water helps insulate the roots from high heat and allows the soil to stay moist in between watering. When we do get rain, many Denver homeowners have to combat erosion in their garden beds. Even a small downpour can remove much of the top layer of soil, leaving the roots exposed to the elements and making the plant more easily damaged. When combined with the high winds the Front Range gets almost every afternoon, that soil can quickly disappear. By spreading mulch over the top layer of your garden and flower beds, you’re helping prevent erosion. 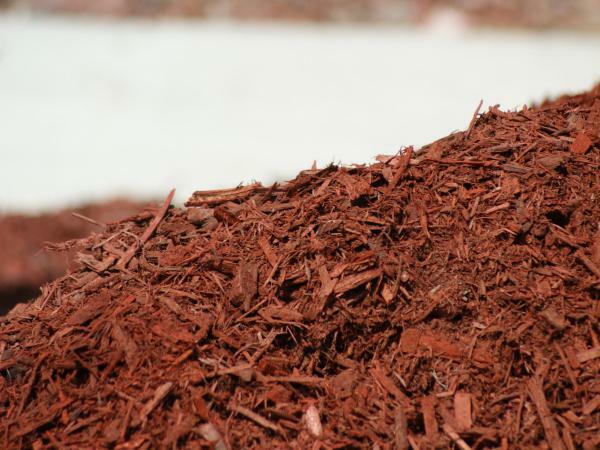 Over the course of a growing season, the mulch will save you money by reducing how often you’ll have to replenish the soil as it won’t go missing in the first place. While there’s no substitute for regular composting and fertilizer treatments for boosting growth, it’s still important to preserve the natural nutrients found in the soil. Erosion, heat, time, and sunlight can all leach the soil of the vital nutrients plants need to thrive year after year. By laying mulch throughout the garden bed, you’ll help preserve the existing nutrients while also distributing new nutrients into the soil As the mulch breaks down, the nutrients kept inside the wood chips get deposited in the soil. This makes the garden bed richer and helps ensure a productive growth season each year. Your landscaping contractor will be able to help you determine a new fertilization schedule after the mulch has been spread. Weeds need light to grow and fully infest your garden bed. By covering the soil with mulch, you’re reducing the amount of sunlight that newly sprouted weeds receive. This cuts down on their ability to grow into mature plants, allowing you to enjoy a weed-free flower bed. If the bed already has weeds popping up between the plants, remove them from the bed and cover the soil with mulch. This will keep new weeds from developing, even if part of their roots remain in the soil. Keep in mind that you may still want to spray or treat your lawn as weeds are only prevented in areas where mulch covers the bulk of the soil. Adding new soil and dirt to your yard, buying weed killer, and spreading fertilizer regularly can get expensive very quickly. Mulch, on the other hand, is incredibly affordable and typically only needs to be spread or replaced once every year. If you’re worried about knowing when the mulch needs to be replaced, don’t be. As the wood starts to decay, it changes color, losing much of the tidy appearance it had when it was freshly laid. If you notice the mulch looking pale or notice that the pieces break easily underfoot, it’s time to add a new layer to the garden bed. Remember, a little goes a long way. The mulch should be about 3 inches deep in each bed to adequately protect the plants and soil. Just as mulch insulates the soil from excessive heat during the summer, it also protects your plants in early spring and late fall. The mulch traps layers of air close to the soil. This air is often cooler in the summer and warmer during cold weather. When the temperatures drop, these warm air pockets act as a buffer for your plants’ roots, keeping them from freezing prematurely. Though mulch won’t be enough to help plants withstand the temperature changes associated with deep winter, it will help you start your garden earlier in the year and maintain beautiful growth longer into the fall. Mulch makes a great decorative border for most homes and gardens. Since it comes in so many different varieties and colors, it can be used to highlight certain areas of the yard and make other parts more uniform and well-kept. With the help of an experienced landscaping crew, you can easily add an air of elegance to the yard just by spreading a layer of mulch. Additionally, mulch can greatly reduce the number of pests and insects your garden receives. This helps keep the plants looking their best, reduces premature damage to your trees, and guarantees that the yard is set up for success without potentially harmful chemical pesticides. The better prepared your garden and landscaping are, the more efficiently your sprinkler system will work to keep plants hydrated and healthy. By incorporating mulch into your garden, you’ll save money on water, spend less time clearing away weeds and keep your plants looking their best throughout the growing season. Best of all, spreading mulch has absolutely no impact on your sprinkler system and will never damage the sprinkler heads or plumbing beneath the soil. If you’re looking for help taking your landscaping efforts to the next level, contact the experts at Water Solutions Sprinkler Service. Our landscaping team will work to bring your ideas to life, whether you want to add a new walkway or dream of installing an outdoor fire pit. Call (720) 435-1495 to schedule a free estimate.